Front zippered pocket for added organization for storing additional accessories (sized to hold up to a 9" tablet). 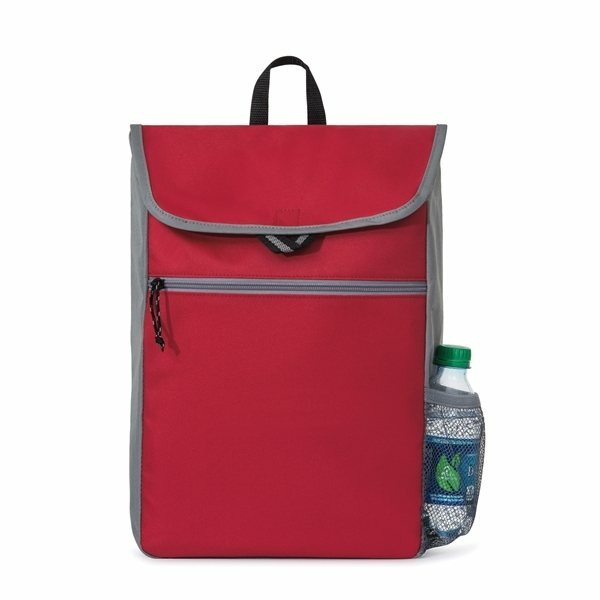 Front flap opening with hook and loop closure provides easy access to the large main compartment (sized to hold up to a 17" laptop). Material: 600D Polyester, 210D Polyester.